Wyatt Crocker Limited, is the parent company of Ironmongery Experts. Established in 1992, it was founded as a small family business to provide a unique personal service to the construction and joinery industry. Since being formed the company has grown to become a formidable influence within its industry whilst maintaining its personable family approach. 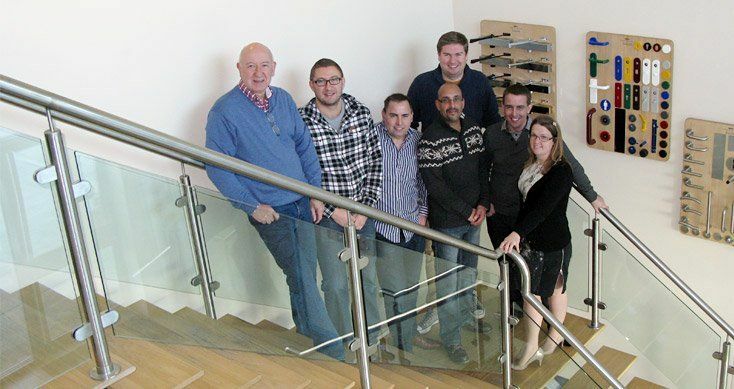 With a wealth of experience in architectural ironmongery gained from many years in the trade; within its ranks it has professionally trained staff and further members who are currently being trained to the exacting standards set by the Guild of Architectural Ironmongers. As well as providing knowledge to its clients, in the application of door hardware, the company can also provide a scheduling service, in which, a full ironmongery specification can be generated in various formats to satisfy any given situation. Not beholding to any one given manufacturer of hardware, the company can offer its expertise on a wide product range, giving the customer the benefits of choosing what they may consider desirable and not what may be driven by any external influences. The company has its own ‘in house’ keying workshop, which allows it to produce master keyed systems at very short notice from its vast stock of cylinders and keys. Every effort is made to provide a professional and efficient service to all our customers with the objective of hopefully maintaining loyal customer relations. Co-founder Ron started his ironmongery career in 1961, at the age of 18 years. Through his years in the trade he progressed from accounts, to sales, to Managing Director. In 1992 he and his son Brad started Wyatt Crocker Ltd from a desk in the corner of his home and has nurtured the company to it’s present home. Ron currently keeps a watchful eye, Inbetween the horse racing of course, from his seaside home following his retirement in 2008. Following a few years service in accounts within the ironmongery trade he joined forces with his Father to start Wyatt Crocker Ltd in 1992. From the start he has maintained the financial side of the business as well as being a major part of the sales team. Topics of Conversation: Formula 1, NASCAR, Football, Sports in general, Genealogy. Dean joined the team in 1994, starting time taking a share of sales, packing & deliveries. During that time he has utilised his apt practical side by training and heading Wyatt Crocker Ltd through its growth in our Master Keying & Signwriting Departments. This has enabled us to bring a quicker, more efficient service to our customer. Barry started his Ironmongery career, along with his brother Ron, at the age of 17 in 1968. 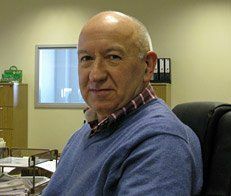 In 1971 he diverged to spend the next 28 years with G & S Allgoods Ltd. During this time he achieved qualifications and experience in the ironmongery trade, but also acquired an extensive knowledge in Electronic Access Control. 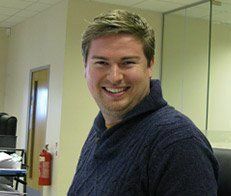 At the age of 18, Ben started his working career in the Electronic Access Control Sector. Following 5 years with the same company he decided to join us in 2006. 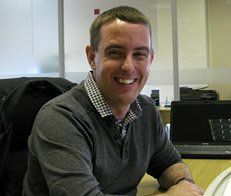 Starting his training along side his father Barry, he has acquired a solid understanding of ironmongery requirements to accompany his expertise in Electronic Access Control. Topics of conversation: IT, Cars, F1. 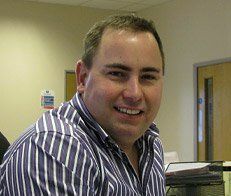 The newest recruit to join our sales team; Tom started in our warehouse in 2007. During this time he has amassed a sound knowledge of all aspects of the trade. In 2012 he has been promoted to a junior position on our sales team, along side his father Barry, to gain a technical experience needed for ironmongery specifications. Topics of conversation: Cars, Football, Socialising. Tracey joined her husband Brad in 1998 in a general administrative and accounts role. Following the birth of their first son in 2001 and his sister in 2003, she took a lesser role to concentrate on motherhood as well performing an active role fundraising within her local community. In 2006 she returned to her previous role. Employed initially as our delivery driver in 1998, he was duly relocated to a more fitting position in 2005. He has since then headed our warehouse staff whilst gaining essential experience in ironmongery necessary to ensure smooth operations. Our newest recruit started in 2013, he has now become an invauable member of the team also in our warehouse. A certain someone in our office, who shall remain nameless, has an acute weakness when it comes to a certain brand of coffee. You’d think that no good could come from two, sometimes three, cups of Skinny Caramel Latte a day? But you’d be wrong!!! In an attempt to create some benefit from his costly addiction Ironmongery Experts has purchased a shiny new coffee machine, which coincidentally reproduces this particular coffee, for him (or anyone else for that matter) to purchase without tiresome trips to his local. Ironmongery Experts asked once a quarter for our followers to nominate a registered charity to profit from Coffers 4 Coffee. After nominations we will offer our choice of the worthy charities leaving it to you to register your votes for the winner of that quarters profits. Join us on Facebook or Twitter to get involved with Coffers 4 Coffee and other initiatives.